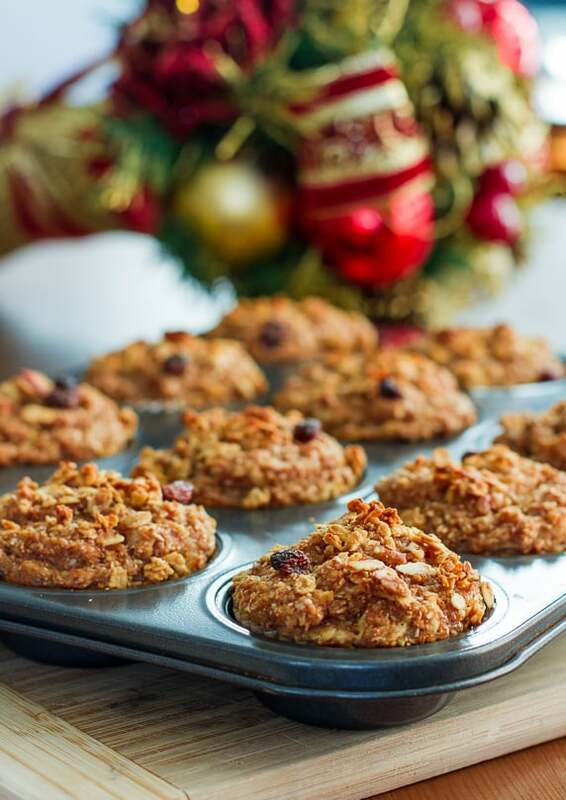 Whole Grain Apple Nut Muffins super healthy at 151 calories a muffin and perfect for a holiday breakfast.These muffins are packed with healthy ingredients. I love this time of year! It’s the holiday season. Yes I live in Canada and we’ve already had our Thanksgiving, but here we are now getting ready for Christmas. Driving home tonight we passed lots of houses that are already all lit up and ready for Christmas, it was so beautiful. It’s impossible not to get into the Christmas spirit. So this weekend I’m going to put up my Christmas tree, drink some mulled wine and listen to Christmas music. My kind of weekend. But I love holidays most of all because you get to eat delicious breakfasts. 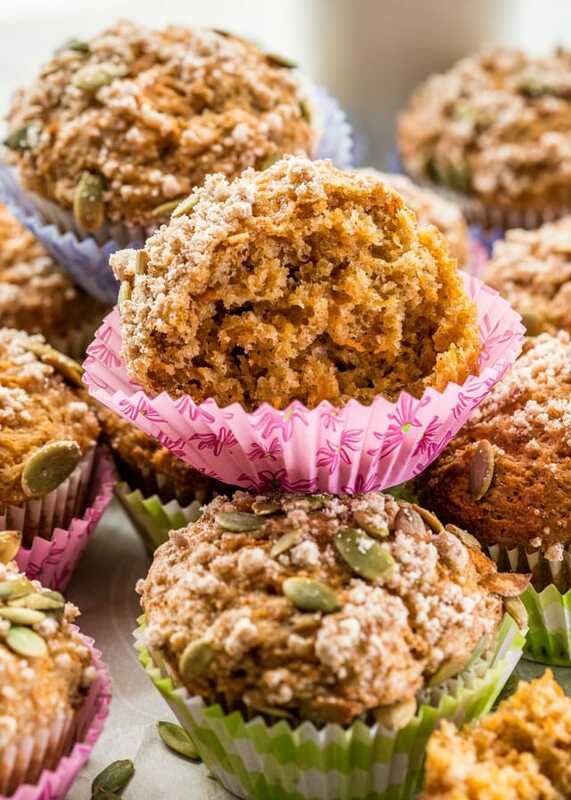 These whole grain apple nut muffin recipe is so healthy you won’t believe it. 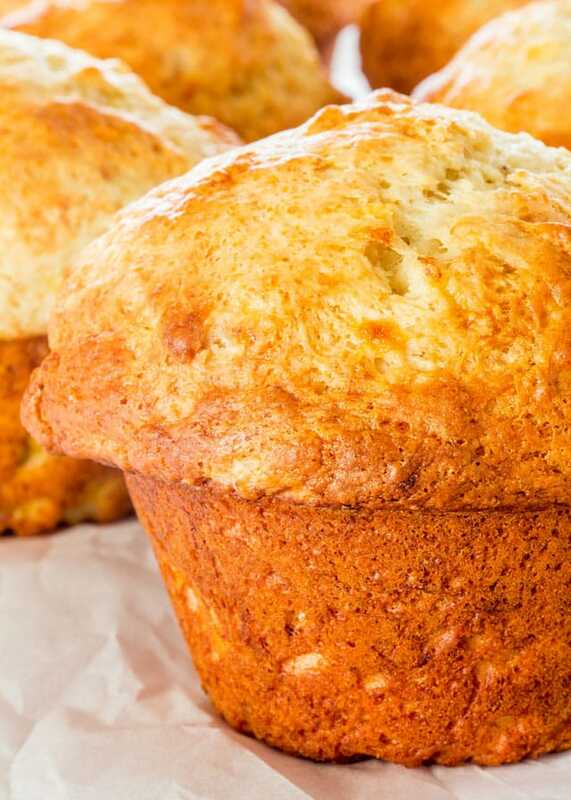 At 141 calories a muffin you can afford to eat a couple. These amazing muffins are low in carbohydrates and low in sugar since I only used 1/4 cup of brown sugar in the entire recipe. 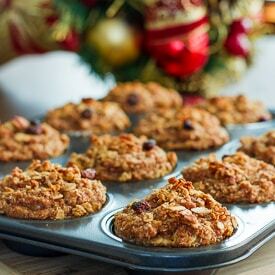 If you look at the recipe, you’ll see all wonderful and healthy ingredients like wheat bran flour, whole wheat flour, egg whites, applesauce, etc. It’s a wonderful muffin and although there’s not much sugar it’s still sweet enough. In a small bowl combine the grated apple, 1/4 tsp of the cinnamon, honey and the lemon juice. Stir well and set aside. Preheat oven to 350 F degrees. Line a muffing tray with paper liners and lightly spray them with cooking spray. In a medium bowl combine whole wheat flour, bran, almond meal, baking soda, nutmeg, cinnamon, salt and whisk. Set aside. In a larger bowl mix the applesauce, oil, egg whites, sugar and vanilla. Whisk until well incorporated. You could also use your mixer for this. Slowly incorporate the flour mixture and continue whisking until well combined. Fold in the apples and walnuts. 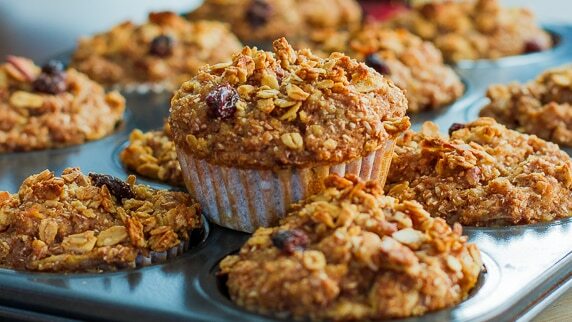 Pour the batter into the muffin cups and top each with 1/2 tsp to 1 tsp of granola. Bake for about 35 to 40 minutes or until golden. These look amazing! Could you please send me an invite to your board Greatest Food Blogger Recipes. I would love to be a part of it.